The law firm of Barry Hines, Attorney at Law, is located in Springfield, Illinois, and serves clients throughout southwestern Illinois in the areas of agricultural law and estate planning. 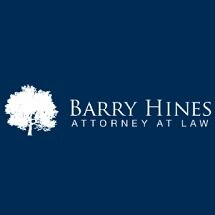 I am attorney Barry Hines, and my law firm is dedicated to helping farmers and their families. I handle everything from buying and selling farms and tracts of land to oil leases and mineral rights. I grew up in Springfield and I have practiced law in this area for 40 years. I have watched the business of farming change and have kept up with or helped set precedent for those changes in agricultural law. I understand what you are up against as a modern farmer and I will do my best to help you solve your problems. I treat everyone as if he or she is my "best client" because I believe that's the way everyone deserves to be treated. Whatever your goals are, I will give 110 percent effort to make it happen. I also handle estate-planning matters, including estate tax planning for farmers and ensuring that your property and assets are properly passed along to your heirs. Because of the nature of family farms and the complexity of estate planning, you should consult an attorney to make sure your plan fits within the law and that the law is working to your best benefit. I have received an AV Preeminent* rating from Martindale-Hubbell, the highest rating an attorney can receive from his or her peers. I offer dedicated, professional representation to help you find a solution to your legal problems.